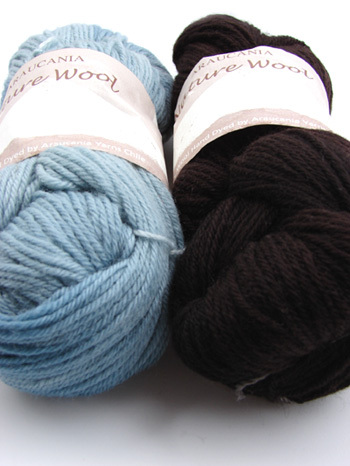 I used this yarn in a recent design project and loved it so much that I bought some for myself. 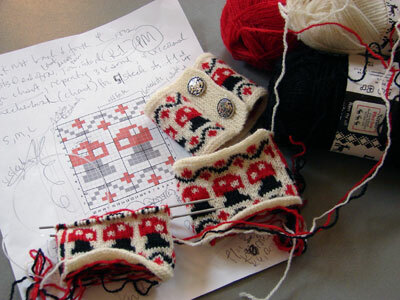 Over the weekend, I came across Purl Bee’s Treeline Striped Cardigan pattern (pattern here). Those stripes! The stripes are so fine and mottled that they look hand-drawn. Must have, in the same colors, even, which is rare. I’ll definitely add some waist shaping, and I’m not sure about getting gauge, but that’s about it for changes. It’s lovely just as it is. Let’s not mention that half of my shirts and socks are striped, and that I might be getting a little carried away with this lately. There’s a shop update tomorrow, with handspun and hand-dyed yarn galore, plus lots of turned wood tools from Maisy Day Handspun. See you then! I love the Araucania Nature Wool, too. Not sure why there’s not more praise for it out there in blogland. Thanks for the cardigan link. That’s a really nice knit! Dude, I loved Crank!! I was skeptical when Mark pulled it off the shelf and requested we watch it, but I thoroughly enjoyed it. Gotta love Jason Statham though! Thank you for the link to the beautiful striped cardigan – I am printing off right now!! Those pulse warmers are seriously cute. Now I want to make toadstool stitch markers when I get home. I’ll have to make myself a note. What a great cardigan! Thanks for the link- now I’ve got to do that arduous “I can’t afford the best yarn for this sweater” google search. gee wiz. oooh very nice choice of yarn. i have a ton of NatureWool looking for a project. so i am gonna knit this right along with you. of course, being such an ADD knitter, i’m sure i’ll never finish. But please post progress to motivate us slackers! Your wrist warmers are just sooooo you and that is such a good thing! Nummy cookies, movies, tea, knitting and a sweat spot on the couch… what more could one want for! Happy knitting! I have the same yarn to knit this sweater (well, color 19 is on its way, but I already had 35). Would it work to knit the body in the round and steek it? and add the bottom ribbing after the steeking? It seems like it’s basically an Elizabeth Zimmerman EPS sweater knit bottom up, and I would think the Nature Wool would be sticky enough for steeking, although I’m not sure about the kidsilk haze. Do you think this would work (since you have done steeking, and I have not)?